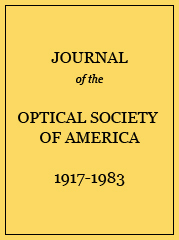 A set of coupled-mode equations is derived to describe mode propagation in uniform and slightly nonuniform cylindrical optical-fiber systems. The coupling between fibers of an array made up of n identical fibers each at the vertex of a polygon and one at the center, which is not necessarily the same as its n neighbors, is determined. Examples of this array are two fibers, three fibers in a row, and a hexagonal array with a fiber in the center. Very simple expressions for the coupling coefficients are presented. Mode coupling on a lossy fiber is investigated and a simple expression for the loss of a HE11 mode is given. The percent maximum (%F) power transfer between the center and surrounding fibers of an array like Fig. 2 made up of identical elements, one of which is excited in the HE11 mode. n is the number of noncentral fibers, ψ° is the angle in degrees and d the distance between the centers of neighboring noncentral fibers, d ¯ is the distance between the centers of the central and surrounding fibers, %Δρ/ρ is the percent increase in radius of the central fiber required for total power transfer, and l is the length required for the transfer. For the calculations, V = 2.5, δ = 0.01, and ( d ¯ / ρ ) = 4.